On Wednesday, May 13 from 6-8pm Saddletowne YMCA will host a workshop called Fundamentals of Healthy Eating. This workshop will offer very practical information with ideas, strategies and recipes that you can take home and put to use right away. Our presenter Cheryl Strachan, a registered dietitian, offers a very down to earth perspective that covers not only the ‘what & why’ but the ‘how’ of creating healthy eating habits with plenty of examples along the way and answers to all of the commonly asked questions & concerns. Register early by calling 403-237-2393 and quoting course# 102733. 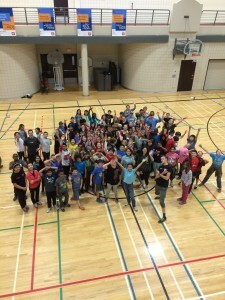 Grade 6 Dodgeball Tournament at Eau Claire! Looking for an exciting Friday Night Activity? 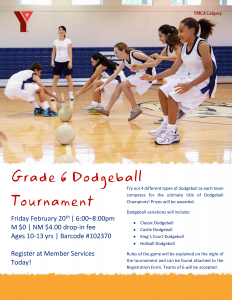 Why not register for our Grade 6 Dodgeball Tournament in February! Teams of 6 will compete against each-other in 3 minute rounds to battle for the Ultimate Title. Participants are welcome to sign up as a team or as individuals. The winning team will take home the blue ribbons as well as the first place prize (to be determined). Second and third place teams will also be awarded. The tournament will run from 6:00-8:00 PM on Friday, February 20th. Four different, yet fast-paced variations of dodgeball will be played throughout the night. Instructions will be explained on the day of the tournament but are also distributed with your sign-up package. If you or your team wants to practice, or is a bit shy, have no fear! We will also be hosting a practice night on Tuesday, February 17th during our regular Grade 6 Sports Drop-In time (6:00-7:00 PM). If you are interested in joining us for this challenge, you can click here to download our dodgeball registration form and rules. Be sure to drop by Eau Claire to hand in your form and register. 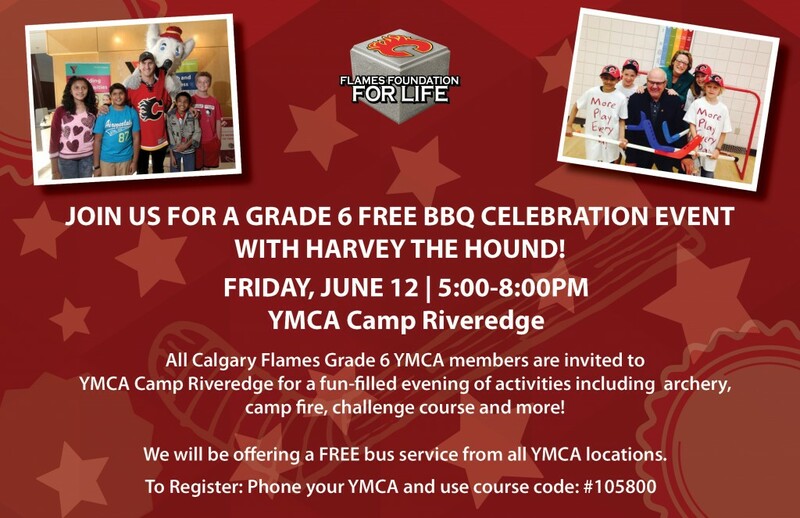 Alternatively, you can contact Sarah Thornton, youth Coordinator at 403-781-1685 or via e-mail at sarah.thornton@calgary.ymca.ca for more information. Exciting New Programs at Eau Claire! Are you looking for exciting new ways to get your child involved at the Y? We have so many options to choose from. Check out some of our new opportunities! Let your children express themselves through food preparation and selection, nutrition and cooking. They will learn, create and explore using quick, easy recipes. The best part is they get to eat what they make! Child must be toilet trained to attend this class. Discover with your toddler the joys of yoga through dance, play and stories. Introducing from an early age the ideas of breath and relaxation, this class will interwove these concepts through different journeys. 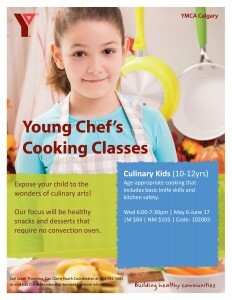 Allow your child the opportunity to explore the art of cooking! They will learn to create their own nutritious snacks and meals using quick, easy recipes. The best part is they get to eat what they make! We will cover basic kitchen and appliance safety, knife skills, measuring, mixing and adapting recipes to different ingredients. Are you looking for a creative way to spend your time? Are you interested in expressing yourself through art? Our youth arts and crafts programs provide you with opportunities to explore and discover your inner artist. We will use many different media and supplies to give opportunities to experience something new! 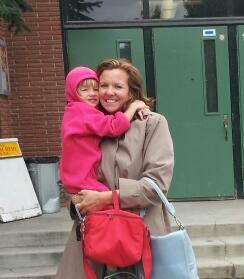 My daughter, Emilia, started kindergarten this September. It was a bitter sweet moment. She has been a cherished part of the Eau Claire daycare and we both miss the daycare that was her second home. Both of us started our day warmly greeted by staff and made to feel like we were welcomed and belonged. Various stations would greet the children; some days it was a dress up, circus, restaurant or a veterinary clinic. Other days the children would get their bathing suits on for swimming lessons and pool play time. Children participate in outdoor activities either on a field trip or on the outdoor play structure. My daughter loved field trip days – she travelled to the zoo, Home Depot, pet stores, the library and even a farm! Tanya, her teacher, loves the park and Emilia would regale me with the great adventures they had. Below freezing days would see the children upstairs in the YMCA gym participating in games and performing tumbling activities. Plus 15 adventures ensured everyone stayed warm but had the opportunity to get moving. I loved the open door policy – I would travel upstairs and have lunch with my daughter and her friends and teachers. Communal meals and snacks were such an important part of socializing. The daycare follows the YMCA Playing to Learn philosophy which, as an educator, I find to be an effective way to engage and educate children. Children would express an interest in an activity and the rest of the week would be centred on that activity. For example, the children were interested in babies. Tanya brought in baby food for the children to taste test, which proved to be quite funny. The children studied a baby’s actions to determine it’s needs, learned about human development and about safety. This activity also taught the children about empathy. My daughter was very well prepared for kindergarten. Children thrive on structure and stable environments. She takes pride in knowing that it is appropriate to put your hand up if you would like a turn speaking in a group. She understands the importance of ‘indoor’ and ‘outdoor’ voices. She can write her name, knows her alphabet and can count to twenty. Fine and gross motor skills were practiced at the YMCA through a range of play-based activities. She was allowed to freely express her imagination and felt safe in taking risks. Through physical activity she has become agile and confident. I would highly recommend the Eau Claire YMCA centre to any parent. In fact, I was responsible for referring a parent whose child starts next month. 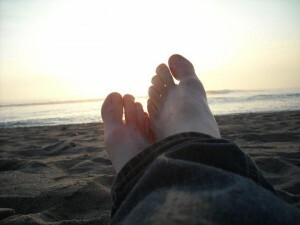 The staff are well trained and professional but are also warm and empathetic. They do not hesitate to smother my daughter with hugs when they see her come back for a visit. I was confident that if she scraped her knee she would be gently snuggled and her hair stroked until she felt better. After all, as a parent this is all we want for our child – to know that they are loved. 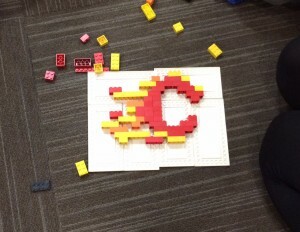 YMCA Calgary operates licensed Child Development Centres in our Eau Claire, Saddletowne and Shawnessy locations. 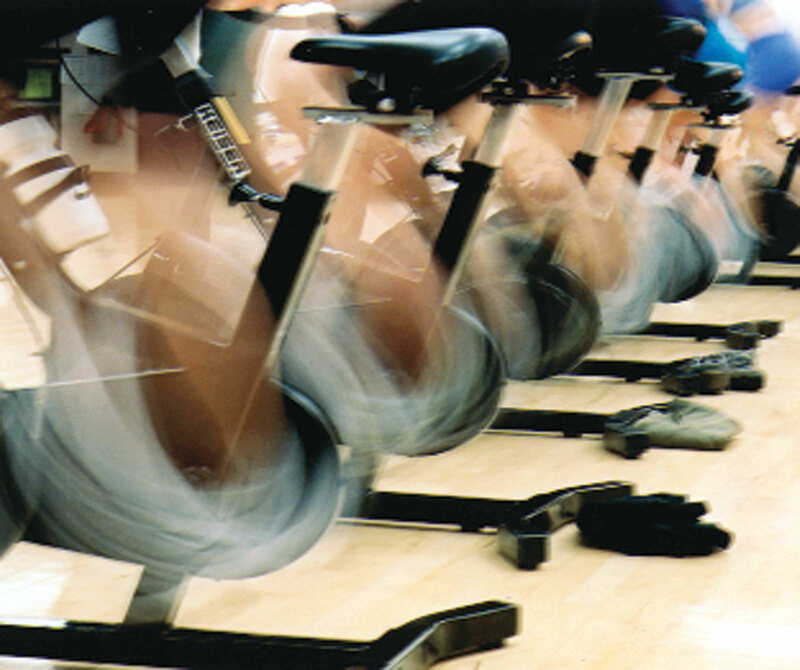 We are preparing to expand our impact with new centres in YMCA facilities in Quarry Park, Rocky Ridge, and Seton. These amazing new spaces will help us support young children to belong, grow and thrive! Kids these days all seem to have schedules similar to the one above. To go along with it are the demands of getting good grades, pressure from family and peers, and just growing up in general. There are unwritten rules that kids need to learn and understand. Adults are not the only ones with a lot going on these days. In this time of over-scheduling, kids need to schedule in some un-scheduled time! Exercise: Run, walk, kick a ball, punch a punching bag. There are so many things that help kids release the built up frustrations. Just 20 minutes can provide up to 12 hours of improved mood. Getting active has so many benefits for calming a busy mind. Write, Colour or Draw: Writing or drawing about what is bothering them is a great release and easy way to get rid of frustrations. Getting it onto paper gets it out of the mind. Listen to Music: Dance and jam out with the music playing. There is just something calming about rocking out to your favourite tune. Build or Create Something: The process of making something unique and new from scratch creates a great way to relax. There is also something that can be used when it is done too. Socialize and Laugh: Spending time with friends and family who give a sense of belonging, purpose and fun may provide all the stress relief needed. Not to mention a good chuckle relieves the built up tension. Eat Well and Get a Good Night Sleep: Healthy eating and good sleep patterns are fundamental of living a well balanced life in a positive way. Things just seem that much better with a healthy body. The most important thing is to make a schedule change by finding something that kids enjoy and to just go and do it! 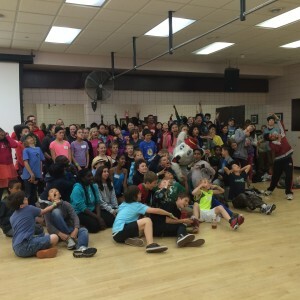 We want to hear about what you do to help kids de-stress through un-scheduling. Share your stories on the YMCA Facebook page or on Twitter. In celebration of the 2014 YMCA Peace Week, Eau Claire YMCA will be hosting Yoga for Peace on Wednesday November 19th from 10:30 – 11:15 and at 12:50 – 1:30. YMCA Peace Week is unique to Canada. It originated in 1984 when YMCA Canada decided to add an entire week of peace related activities to follow Peace Day. This year, we will be celebrating our 30th year! Why yoga? Yoga is an innately peaceful activity with the goal of encompassing the overall essence of peace. Please come and join instructors Gary & Pam and be a part of this national celebration! If you have a sedentary occupation, how can you overcome this challenge? Try getting up from your desk and walking around the office for 5 or 10 minutes every hour or two. You may feel that you’re too busy to add this into your day, however, you will likely find that these mini-breaks increase your productivity when you return to your desk. Walk to a co-worker’s desk to ask a question, rather than phoning or emailing. Even standing up at your desk and stretching once in a while will be helpful. If you are having a small meeting with just two or three people, suggest a walking meeting to your colleagues. Pedometers are an excellent way to track your activity over a day to ensure that you get in your minimum number of steps each day. Stay-at-home parents have a great opportunity for activity; dance with your children, play tag, go for a walk to the park and push them on the swing. Not only will you enhance your own health with activity, you will set a great example for your kids and perhaps even deepen your parent-child bond!